In this comprehensive and abundantly illustrated book, Allan A. Schoenherr describes the natural history of California—a state with a greater range of landforms, a greater variety of habitats, and more kinds of plants and animals than any area of equivalent size in all of North America. 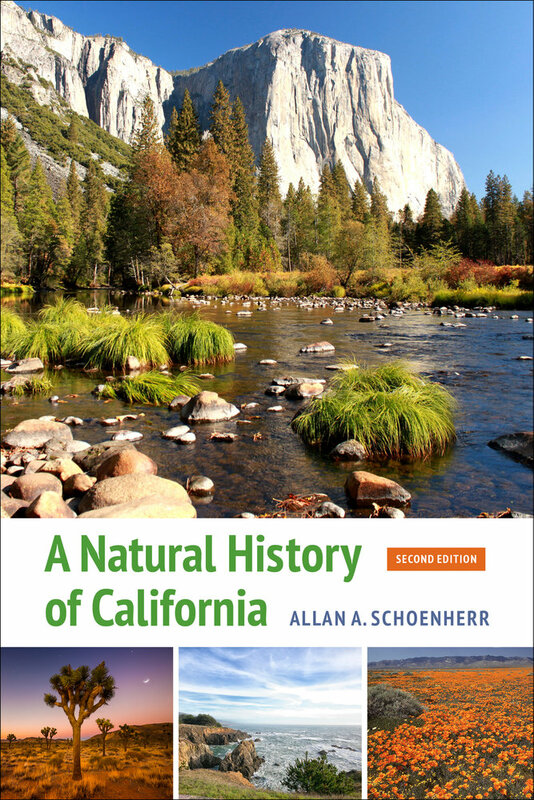 A Natural History of California focuses on each distinctive region, addressing its climate, rocks, soil, plants, and animals. Allan A. Schoenherr is Professor Emeritus at Fullerton College, where for decades he taught courses on ecology, zoology, and the natural history of California. He also taught ecology and natural history courses at the University of California, Irvine; California State University at Fullerton; and the Semester at Sea program. He is the coauthor of Natural History of the Islands of California and Wild and Beautiful: A Natural History of Open Spaces in Orange County and is coeditor of Terrestrial Vegetation of California, Third Edition.